Kitchen island design is one of the most popular kitchen items. 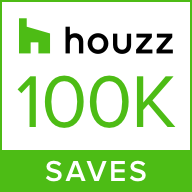 In fact, Houzz’s 2017 U.S. Kitchen Trends study, researchers found that millennial homebuyers and remodelers prefer kitchens with kitchen islands and are most likely to choose kitchen designs that incorporate them. Islands are just that – extra land space, if you will, for food preparation, countertop appliances or for sitting and chatting or dining. For some families and couples, the comfortably appropriated island is the place where the majority of the meals take place and where homework is completed each afternoon. Are you making use of the end cap? The end cap of a kitchen island comes in awfully handy. One of the best uses for it is in the form of shelves. As a functional addition, these shelves can be used to store cookbooks or countertop appliances you want to tuck out of the way when not in use. You can also use them as display shelves, rotating attractive dishware, serving platters or other collectibles to dress up your kitchen or add a little color. In this San Francisco Suburban Oasis, we decided the end of the expansive island was the perfect spot to put a wine cabinet so owners have favorite wines on hand, all served at the proper temperature. Using the island square footage for this saved storage space in perimeter cabinetry. In a smaller kitchen, or an older galley kitchen blown open to create an open floor plan, storage space is a major commodity. Think about the ways your island can take up that extra storage slack. Should the entirety be comprised of well-organized kitchen cabinets? Should you leave half of it open with open shelving space? Which items make the most sense to store there? These are all questions worth working through with your professional kitchen designer. The standard kitchen design uses the same cabinetry and countertops for both the perimeter cabinet banks as well as the kitchen island. Sometimes, this is the best option. Most of the time, however, I encourage homeowners to use their island as a way to accent the foundational design. The island is a perfect spot to incorporate a splash of color (via painted cabinet), some natural wood elements (that add warmth or texture) or to show off your second-favorite countertop choice. These extra additions will round out the complexity of your kitchen’s overall look. In this Palo Alto Family Home, the natural, wood-stained island is the perfect warm compliment to the all-white kitchen design. It also makes a nice transition to the wood accents in the living room space. What you don’t want is a kitchen island design that is too big for its britches. This is a common mistake made by homeowners desperate for that extra surface and storage space, but who work within standard measurements. You’re better off measuring the floor space in your kitchen and – like the rule for a new dining room table – leaving a good 36-inches (I recommend 42-inches if possible) between the edge of the island and the nearest cabinet bank, wall, piece of furniture, etc. This space should be slightly wider if you’re interested in universal or accessible design principles. Customizing the dimensions of the island to the space ensures the island isn’t too cumbersome – or too small – making it right at home in the kitchen. Virtually any appliance works in a kitchen island. Personally, I’m not a huge fan of stovetops on the island if you can help it because you need to vent them and hoods can be cumbersome in the middle of the kitchen’s air space. Sinks, on the other hand, come in very handy – especially in a kitchen with more than one cook. If you do that, you might consider putting the dishwasher there as well. In multi-cook households, the island might benefit from a bar sink if you feel that would free up some space during meal prep time. All of the inset or drawer-based appliances – like microwaves, warming drawers, refrigerator drawers, etc. – also work well in islands. Hiding electrical strips is always a good idea and make sure the overhead island lighting does double duty as both task and ambient lighting. Optimizing your kitchen island design ahead of the curve will yield a much more functional and free-flowing kitchen design when all is said and done. Need professional design input or assistance? Contact Kristina Wolf Design.